While I was cruising around with David Billa of Setouchi Explorer, we were caught out by the problem of trying to eat after 2pm. We headed up to Hitoyama to check out the “Dream of Olive” artwork and hopefully find something to eat. Unfortunately the line to eat was about 1 hour long so we decided to go somewhere else. We stopped at “Someone’s Coming!” in Ikeda before finally deciding where to eat. 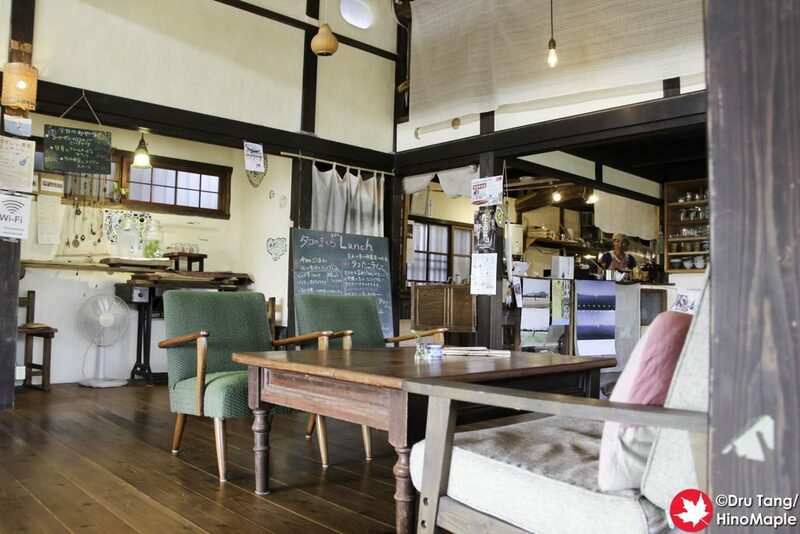 We checked out the guidebook and found a little cafe called Takonomakura. Takonomakura is next to the coast, a bit away from the Ikeda Ferry Terminal. Driving to the shop was not very easy as the streets are extremely narrow and trying to get even a small car through was not easy. David was really good to get us there and thankfully they were still open. Unfortunately they were no longer open for lunch. When we went up, we were thankful to see that they were open but they told us that they were on cafe time. That meant they had no food. We were a bit sad and decided to keep moving towards Mito to see more art and hope to find something to eat. One of the ladies of the cafe came running out after us and mentioned that there was probably nowhere left to eat in the area. They were kind enough to make something special for us with whatever they had left. We agreed and went in to relax in the nicely air conditioned restaurant. Takonomakura is the kind of place that I really enjoy visiting on the islands. It is small, friendly, and good local food. Think of it like Shima Kitchen on Teshima, but not as busy. I’m sure the regular food would be just as good and I really liked the food that was offered to us. There was no meat that I can remember but there was an assortment of cooked vegetables and croquettes with some rice. It wasn’t a lot of food but it was enough to make me feel happy. I was a bit surprised that they had good beer at Takonomakura. 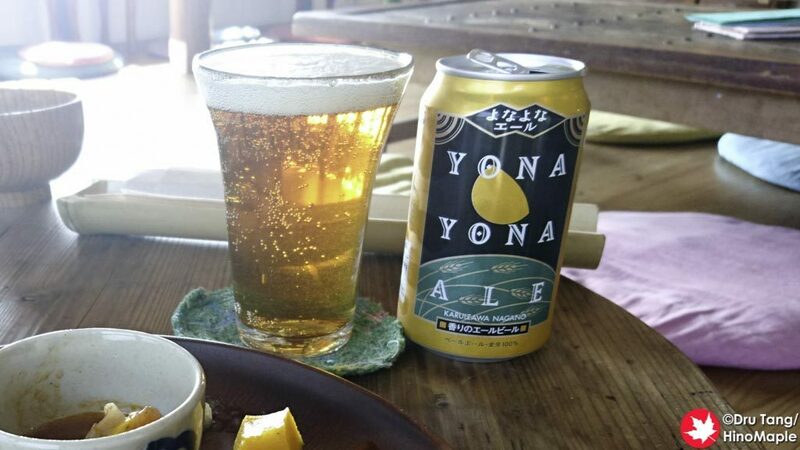 They have Yona Yona Ale along with some homemade sodas and other typical cafe drinks. There are some cakes inside as well if you want something sweet. We arrived at the end of the lunch service so everyone was just relaxing and getting ready to go. We were the last customers of the day for them, I think, as it appeared they wouldn’t have any customers during the afternoon. It was a great place to relax and I would love to go back again. 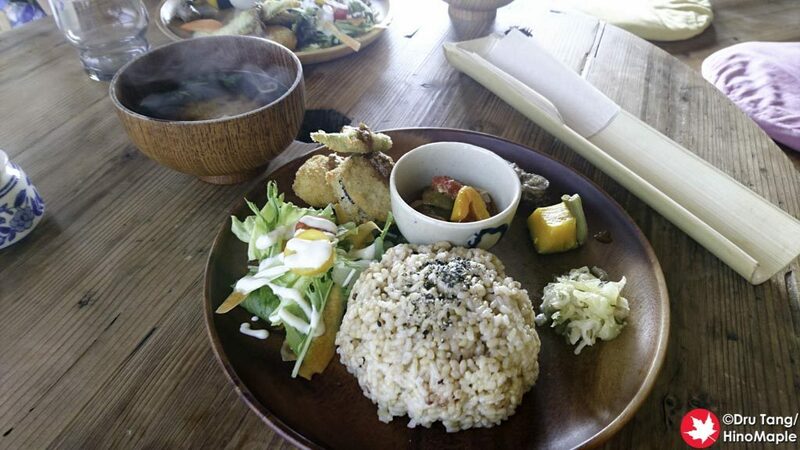 This entry was posted in Shikoku Food and tagged Ikeda, japan, Shodoshima, Takonomakura, Yona Yona Ale by Dru. Bookmark the permalink. 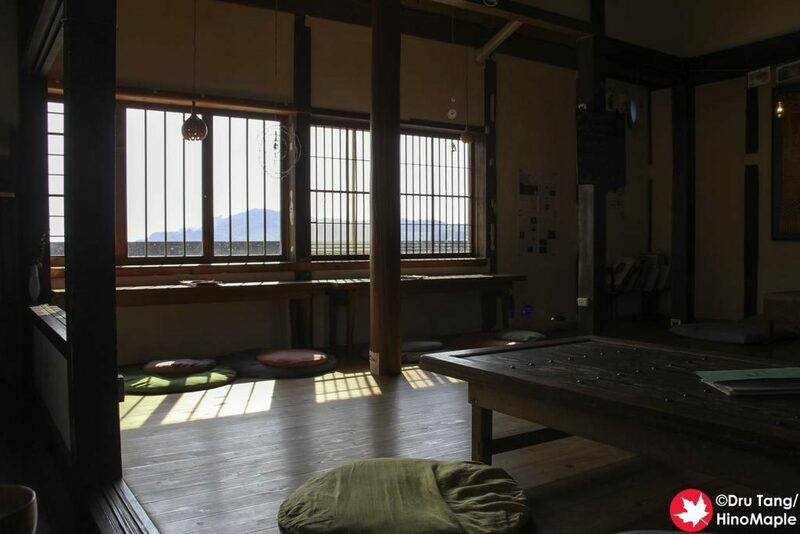 As far as finding places to eat in Mito Peninsula, we would have found one in Konoura, as their “Umi no Ie” is open and serves delicious somen.